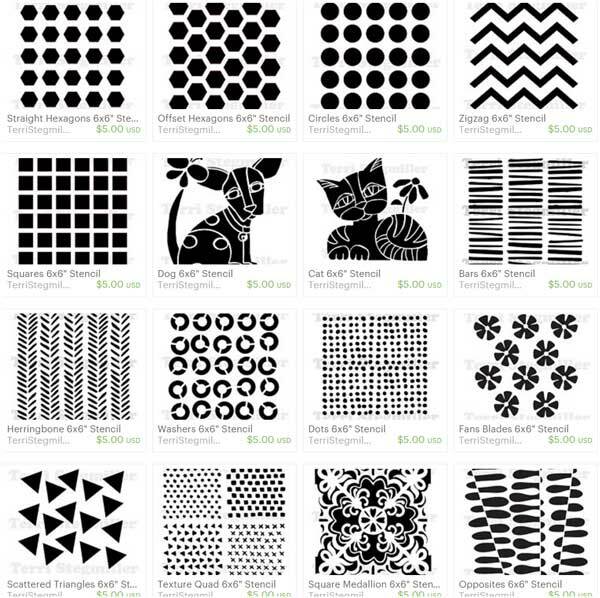 Now available in my Etsy shop....17 new stencils. You will find a selection of good basic shapes along with several of my exclusive designs that originated from sketches. These made-to-order stencils come straight from me from my home studio. Visit my shop today to see the selection - click here. Remember that I also sell many stencil designs through StencilGirl Products, click here.